At a time when your career is reaching a peak and you are looking ahead to your own retirement, you may find yourself in the position of having to help your children with college expenses while at the same time looking after the needs of your aging parents. Squeezed in the middle, you've joined the ranks of the "sandwich generation." What challenges will you face? Your parents may need assistance as they become older. Higher living standards mean an increased life expectancy, and you may need to help your parents prepare adequately for the future. If your family is small and widely dispersed, you may end up as the primary caregiver for your parents. If you've delayed having children so that you could focus on your career first, your children may be starting college at the same time as your parents become dependent on you for support. You may be facing the challenges of "boomerang children" who have returned home after a divorce or a job loss. Like many individuals, you may be incurring debt at an unprecedented rate, facing pension shortfalls, and wondering about the future of Social Security. What can you do to prepare for the future? Holding down a job and raising a family in today's world is hard enough without having to worry about keeping the three-headed monster of college, retirement, and concerns about elderly parents at bay. But if you take some time now to determine your goals and work on a flexible plan, you'll save much stress--and expense--in years to come. Planning ahead gives you the chance to take the wishes of the entire family into account and to reduce future disagreements with your siblings over the care of your parents. Start saving for the soaring cost of college as soon as possible. Work hard to control your debt. Installment debts (car payments, credit cards, personal loans, college loans, etc.) should account for no more than 20 percent of your take-home pay. Review your financial goals regularly, and make any changes to your financial plan that are necessary to accommodate an unexpected event, such as a career change or the illness of a parent. Invest in your own future by putting as much as you can into a retirement plan, where your savings (which may be matched by your employer) grow tax deferred until you retire. Encourage realistic expectations among your children; their desire to attend an expensive college will add to your stress if you can't afford it. Talk to your parents about the provisions they've made for the future. Do they have long-term care insurance? Adequate retirement income? Learn the whereabouts of all their documents and get a list of the professionals and friends they rely on for advice and support. Much depends on whether a parent is living with you or out of town. If your parent lives a distance away, you have the responsibility of monitoring his or her welfare from afar. Daily phone calls can be time consuming, and having to rely on your parent's support network may be frustrating. Travel to your parent's home may be expensive, and you may worry about being away from family. To reduce your stress, try to involve your siblings (if you have any) in looking after Mom or Dad, too. If your parent's needs are great enough, you may also want to consider hiring a professional geriatric care manager who can help oversee your parent's care and direct you to the community resources your parent needs. Share all your expectations in advance; a parent will want to feel part of your household and may be happy to take on some responsibilities. Bear in mind that your parent needs a separate room and phone for space and privacy. Contact local, civic, and religious organizations to find out about programs that will involve your parent in the community. Try to work with other family members and get them to help out, perhaps by providing temporary care for your parent if you must take a much-needed break. Be sympathetic and supportive of your children--they're trying to adjust, too. Tell them honestly about the pros and cons of having a grandparent in the house. Ask them to take responsibility for certain chores, but don't require them to be the caregivers. Your children may be feeling the effects of your situation more than you think, especially if they are teenagers. At a time when they are most in need of your patience and attention, you may be preoccupied with your parents and how to look after them. Explain fully what changes may come about as you begin caring for your parent. Usually, children only need their questions and concerns to be addressed before making the adjustment. Discuss college plans with your children. They may have to settle for less than they wanted, or at least take a job to help meet costs. Avoid dipping into your retirement savings to pay for college. Your children can repay loans with their future salaries; your pension will be the only income you have. If you have boomerang children at home, make sure all your expectations have been shared with them, too. Don't be afraid to discuss a target date for their departure. Don't neglect your own family when taking care of a parent. Even though your parent may have more pressing needs, your first duty is to your children who depend on you for everything. Most importantly, take care of yourself. Get enough rest and relaxation every evening, and stay involved with your friends and interests. Finally, keep lines of communication open with your spouse, parents, children, and siblings. This may be especially important for the smooth running of your multi-generation family, resulting in a workable and healthy home environment. All information herein has been prepared solely for informational purposes only and opinions are subject to change. Past performance is not indicative of future results and all investments involve the risk of loss of principle. For information on how these general principles apply to your situation, consult an investment professional. 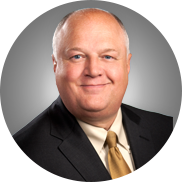 John is a Wealth Manager with SVA Plumb Wealth Management, LLC. John has thirty-four years of experience in the financial services industry with twenty-nine years focused on trust and asset management services for individual and business clients. 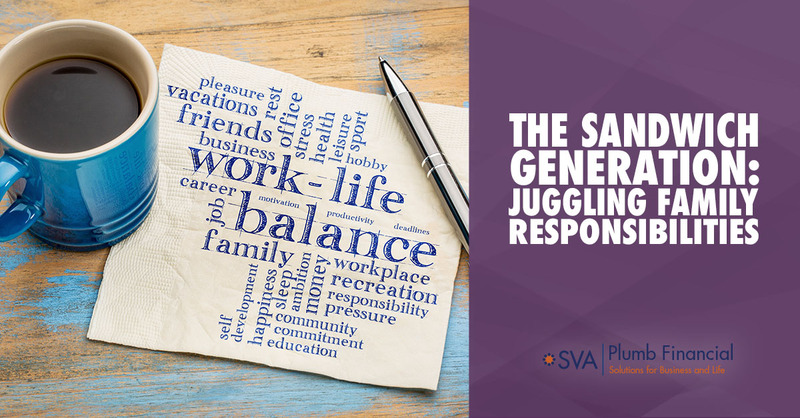 Want to learn more about this topic or the services SVA Plumb Financial provides? Great, we'd be happy to answer any of your questions. Just fill out the form below and we'll get in contact. Subscribe to Articles mailing list! Click the “Add the feed” button and you’re all set. 1221 John Q Hammons Drive.